Cape Conservation Corps is gearing up to bring you our 2nd Annual Native Fall Plant Sale & Festival. The event held September 22nd from 9am-12pm in the field behind the clubhouse (1223 River Bay Rd Annapolis) is all about providing an opportunity to easily add natives to our home landscapes at a low cost! It is often times difficult to locate true natives locally. Although there are several reasonably close locations such as Adkins Arboretum, Chesapeake Natives, and Herring Run nursery that offer wonderful native selections, CCC will be right in your own backyard. Our native plant selection committee tried to order plants that are best suited for our Cape yards—typically dry shade. We also tried to have a selection of fall blooming plants such as asters, goldenrod and turtle head as well as many plants offering gorgeous fall color such as cinnamon fern, pink muhly grass, switch grass, little bluestem, and shrubs that will display radiant autumn colors such as ninebark, Virginia sweet spire and bayberry. As I discussed in the August article, fall is the best time of the year to plant and we will have so many wonderful options to choose from. All of our plants are native plants which mean they have co-evolved with the local fauna and therefore provide the best food source, host plant and shelter for them. There are many insects that can only lay their eggs on one type of plant, one that they have evolved with and without that host plant the species would be lost. We will have ferns, groundcovers, grasses, perennials and shrubs. Below is a sample of what we will (subject to availability) have at the sale. Our selection of ferns includes the marginal wood fern, cinnamon fern and Christmas fern. Ferns are a great addition to a woodland area, shade garden or as shade border. All of these ferns will thrive in shade to part shade conditions, the cinnamon fern would prefer moist to wet conditions while the other two would be fine in the dryer areas of your yard. If you are looking for grasses we will have 8 different ones to choose from. These ornamental native grasses will add fall and winter interest to your landscapes as well as provide seeds for birds and even turtles. If you are looking for grasses for those shady, dry areas we will have white-tinge sedge, Appalachian sedge and Pennsylvania sedge. If the shaded area is moister the creek sedge would work well. 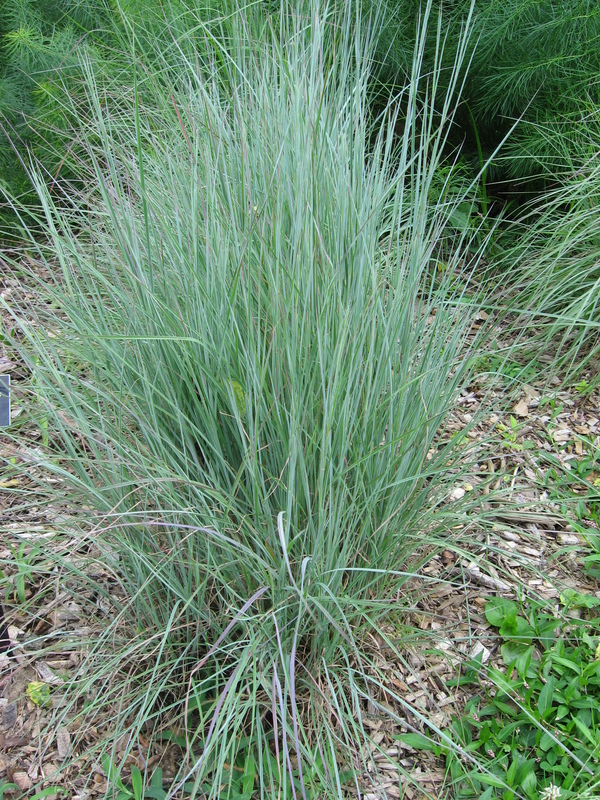 We also have several grasses for the sun such as pink muhlygrass, switchgrass ‘North Wind’, and little bluestem (these last two would work well in your rain garden!). Many of these grasses thrive in poor soil conditions. One important layer we often neglect is the groundcover layer. 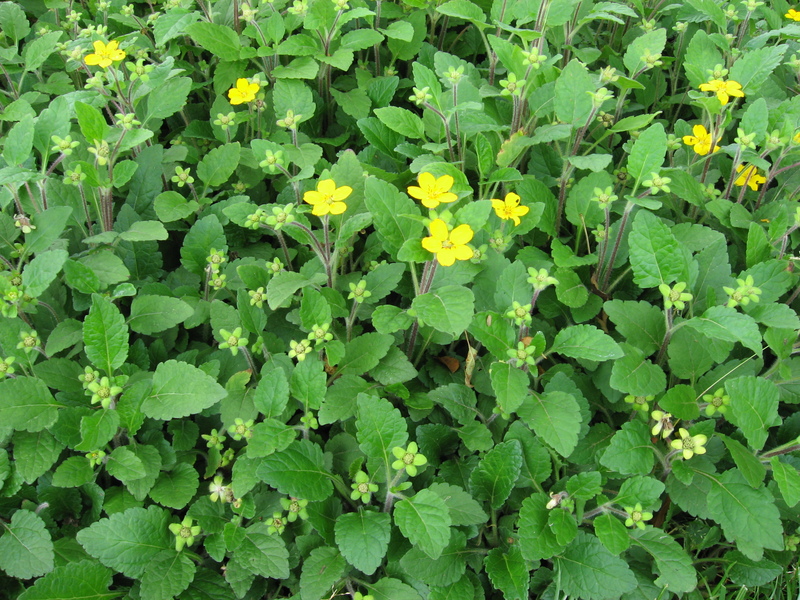 Using plants as “green mulch” helps to retain water and control weeds. Weeds thrive in under planted areas but if you use plants in place of mulch you will have a beautiful green layer of weed suppressing plants. Our selection will include packera aurea, green and gold and a low growing shrub known as fragrant sumac that can be pinned down to encourage ground coverage. The green and gold will do best in part to full shade with average to moist soil, the golden ragwort and sumac can handle part shade to sun. One of my favorites is the golden ragwort for its amazing basal leaves that maintain their green throughout the winter and provide a rapid coverage. Since fall is the best time to plant we also have a great selection of fall flowering perennials for immediate color in addition to a great selection of plants that will provide spring and summer color next year. The combination of goldenrod (yellow) and the purple of the asters is not only beautiful and eye catching to us but it provides a welcome spot for migrating monarchs to stop and fuel up for their long journey. We will have a show stopping variety of goldenrod known as ‘Fireworks’ and two varieties of low growing asters-‘October Skies’ and ‘Purple Dome’. Speaking of monarchs don’t forget to stock up on milkweed (their host plant) for next year’s butterflies. 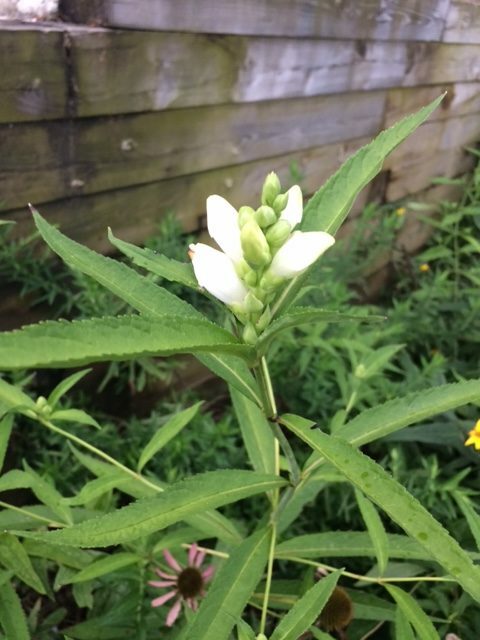 We will have swamp milkweed (pinkish-purple bloom) for sunny moister areas and butterfly weed (orange bloom) for sunny dry areas. Another host plant we will have is turtle head for the hard to find Baltimore checkerspot butterfly (the Maryland State butterfly). There is also a large selection of sun loving pollinator magnets such as bee balm, obedient plant, black eyed Susan’s, coneflowers, Joe-Pye weed, NY ironweed, and phlox. Of course we added some pollinator friendly shade plants as well including white wood aster, “lynnhaven’ carpet and a Heuchera ‘Autumn Bride’. Finally, we will have a great selection of shrubs. Many would be a great addition to a part shade to sunny raingarden such as inkberry, winterberry, witch hazel and itea would work in a shadier moist area. These shrubs will provide food for many song birds, winter interest and will even offer shelter or nesting areas and can act as a privacy fence. 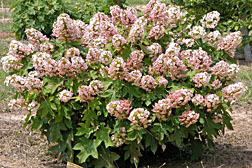 If you are looking for a native hydrangea, consider the oak leaf hydrangea with its attractive white changing to purplish/pink bloom. In addition to being a beautiful fall and winter interest shrub it will naturalize and form a beautiful hedge. Another attractive fall and winter shrub is the bayberry. Its fragrant leaves and showy fruit will attract birds as well. In addition to these wonderful native plants we will have experts from Master Gardeners, Master Naturalist, and Watershed Stewards Academy on hand to answer your question and provide information about their programs. Cape St Claire landscape designer Chris Pax will be on hand to give a “tour” of the plants and will tell you which plants will work best together and in which conditions. Nancy Lawson, author (The Humane Gardener) wildlife blogger, and speaker (she was CCC’s guest speaker in February) will be on hand as well to talk about gardening for wildlife and recommending host plants!